It is so unoriginal of me to do my first book review on an Audrey Hepburn biography but I have just completed it and it’s the only published novel that is still fresh in my memory. The book, written by Alexander Walker, seems less like the classic biography of a Hollywood star and more like a tribute to an icon. 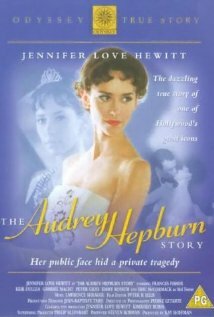 It is evident in his writing that Walker is afraid of offending Audrey Hepburn, even though she is no longer alive to critique her. Even when he writes about the non positives aspects of her life: such as her divorces, her affairs, her failed films; he writes it with a sense of delicacy, never blaming her too much. This is not necessarily a bad thing, I mean anyone who thinks that any biography is totally unbiased and impartial is living in a dream. It just depicts the type of life she lived that she is respected even after death. Usually after I read a biography I become to certain degreesdisenchanted with the star – it happened with Marilyn Monroe and Charlie Chaplin, same with when I watch mini-series or documentaries on celebrities (as what happened with Joan Crawford and Natalie Wood. But Audrey Hepburn is a different – she was not like the others who had an overbearing celebrity status that they could not keep up with, Audrey Hepburn sought only to do good and live a simple life and that is why she is still seen as a type of mythical figure. I fell in love with Audrey Hepburn when I was eleven years old and I watched the TV movie The Audrey Hepburn Story with my favourite actress at that time, Jennifer Love Hewitt (I was a big Party of Five fan) I then became relatively obsessed and started watching her old movies and now – ten years later – I itch to know more about this amazing and inspirational woman. The thing about Audrey Hepburn is she really is in a class of her own, she cannot be grouped with Marilyn Monroe, or Elizabeth Taylor, or even the regal Grace Kelly; there really was no-one like her or will ever be again. So I thank Alexander Walker for writing this tribute to a star who will always stand alone as an example of what is right in the world.